How can I leave an institution on Peergrade? 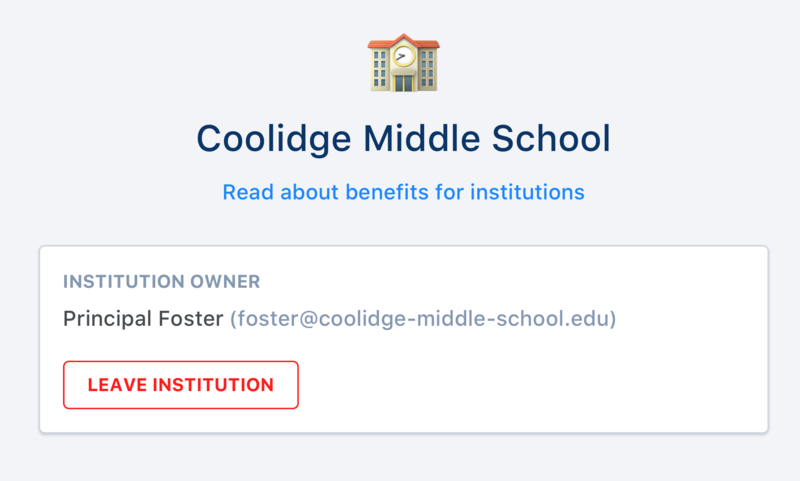 If you want to leave an institution go to your User settings by clicking your name in the top right corner and then click on the Institution tab. Click on the Leave institution button and confirm your action to leave the institution.